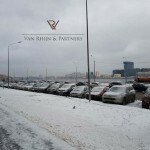 Van Rhijn & Partners is a law firm, created by Ivo van Rhijn, lawyer and slavist. It is our goal to give you the assistance needed for conducting business in Russia. We offer legal advice, suited to your needs, at competitive prices. In addition to our legal practice, we offer bookkeeping services in accordance with both Russian and international standards. There are several ways to become active on the Russian market. We have ample experience with incorporating and managing Russian companies. We are also experienced in setting up and managing Representative and Branch Offices of foreign Legal entities. In close cooperation, we will assist you in determining the presence in Russia that best suits your needs. We can help you obtain the documents you need in order to lawfully visit, reside and work in Russia, like work permits, work visa and business visa. Which legal ground to reside in Russia best suits your needs depends on your wishes and circumstances. Want to know which possibilities are most suitable for you? Ask for a free consultation. Russian labour law is characterised by rituals and formalities from the Soviet past. It takes an experienced specialist to navigate through this bureaucracy. Van Rhijn & Partners has the knowledge and the experience to make sure you no longer have to worry about these formalities. And, if you let our accountant take care of your wages administration, you won’t run into problems here either. Do you need help with a divorce or inheritance with a Russian element? We are ready to help you. We also have expertise in the field of questions of Russian nationality and guardianship. We can help you buy and sell both commercial and residential real estate in Russia. 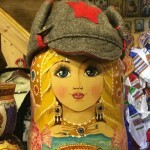 Russian accounting standards differ from those in the EU and the USA. To comply with your obligations under Russian law while keeping a good overview, you need an accountant who is familiar with both Russian and Western reporting standards. Call us at +31 20 - 244 0893 or fill out the form below to receive a free and confidential initial consultation. You want to take care of business as efficiently as possible. We understand and are ready to jump in to ensure that all your business dealings are legally sound and are of a high level of quality. We firmly believe in the great potential of the Russian market for foreign companies. Each of us has experience of working with multinational businesses and can guide you through the Russian legal field. We speak your language and are committed to making your Russian business a success.